Greener Living is a full-service landscape design and construction company specializing in residential outdoor living experiences. 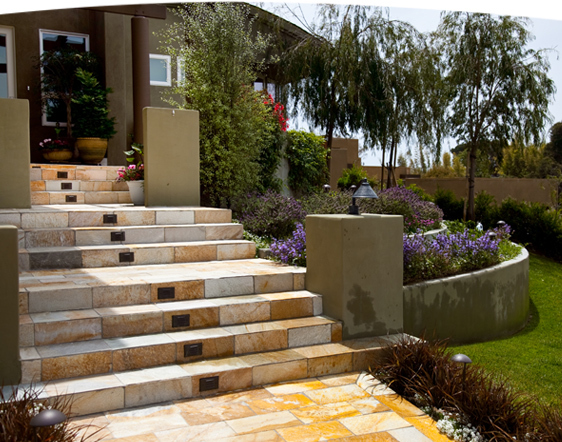 Founded by Jill Price in 1986, Greener Living has received design and construction awards from the CLCA for outstanding landscape design and construction craftsmanship. Jill Price has built Greener Living on the solid foundations she has created with the relationships with her clients. The garden surrounding this distinctive contemporary home is less then 18 months old yet looks more established thanks to the clever use of a traditional plant palette from the owners Southern California childhood- camillia’s calla, begonia’s, jasmine etc. The neighbor’s Torrey Pines threatened to overwhelm the backyard, but in the hands of skilled landscape designer, Jill Price, the trees became a backdrop for the rest of the space.